Cleanup begins around 9:30 AM and finishes up between 11:30 and noon. Sign in at any major beach approach, pick up your bags and hit the beach! Grabbers on a first come first serve basis. All volunteers are then treated to hot clam chowder. (We’ll have other soups and snacks available.) at the Peninsula Senior Center. Soup is usually served between 12:30 & 1:00. 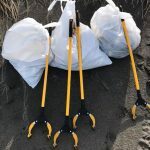 An Oregon Field Guide special report featuring our own Russ Lewis a leader in data collection and the study of plastic marine debris in the Pacific Northwest. 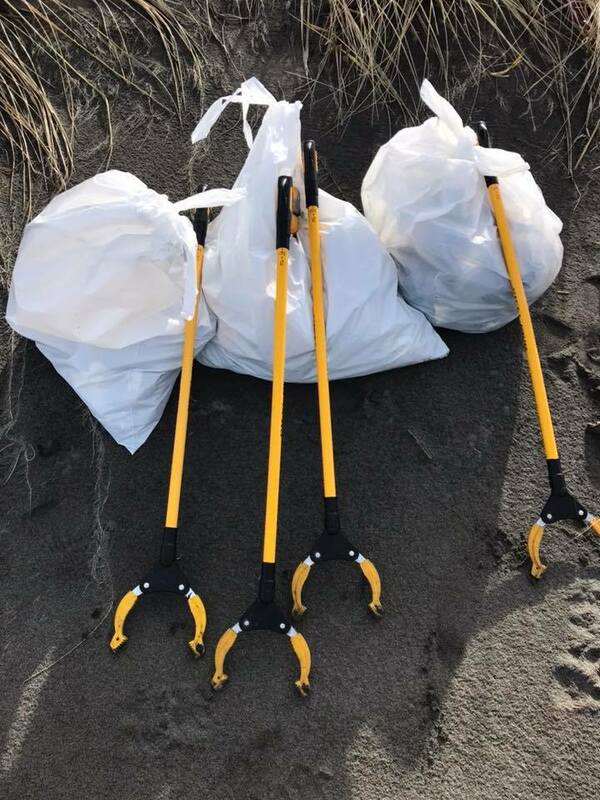 We are always looking for groups to adopt a stretch of beach to clean during regular cleanups. If you have questions or your group is ready to join email join@ourbeach.org If you are an individual looking for a group we will gladly connect you with a good fit. The Grassroots Garbage gang is a 501c3 and have begun to solicit Lifetime members at $100 each and Lifetime sponsors at $1000 each (we will list the sponsors – if desired). We hope to raise another $79,000 – that will allow us to become sustainable in perpetuity budget. On Washington State’s southernmost coast, we boast 28 miles of sandy Pacific Ocean beach. Like beaches everywhere, it sees a tremendous amount of humanity’s garbage being tossed or washed ashore. In 2001, a group of local residents began an all-volunteer effort to tackle the garbage along these beaches. We’ve completed over 48 cleanups and collected nearly 500 tons! We call ourselves the GrassRoots Garbage Gang because that’s what we are, a very grassroots group of folks who are distressed by the trash on the beaches. Since that time, the effort has mushroomed, with volunteers coming from all over the state to help out at one or all three of the annual cleanups.